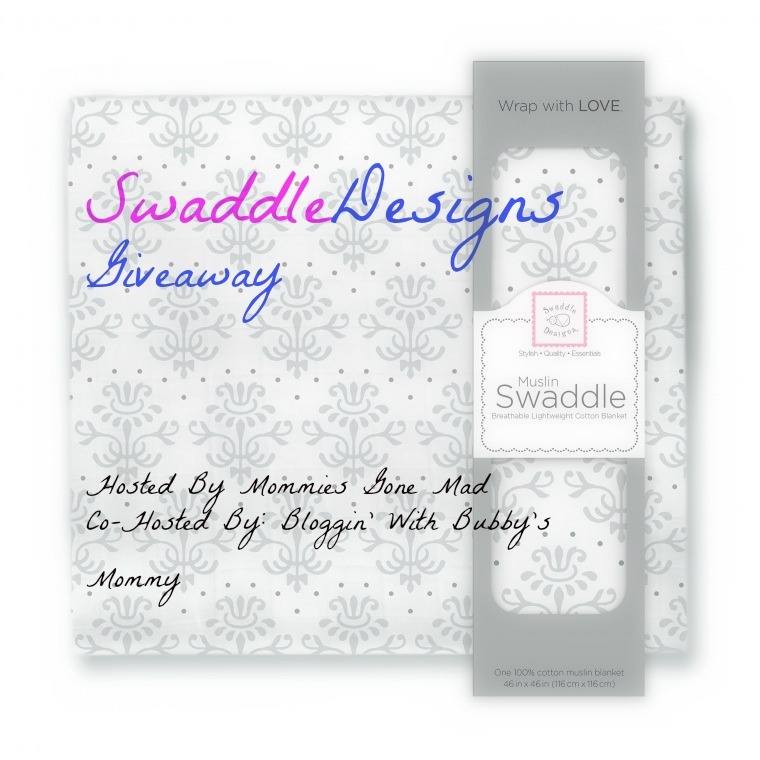 Bubby’s Mommy has teamed up with Mommies Gone Mad- Chronicles of a SAHM to bring you the chance to win a new SwaddleDesigns Muslin Singles Blanket! Enter below by fulling out the entry form below. Do one or all entries, the choice is yours! *Disclosure- Bloggin’ with Bubby’s Mommy in not responsible for prize fulfillment and cannot be held liable for unfulfilled prizes. By entering into the above giveaway you express your understanding of this. 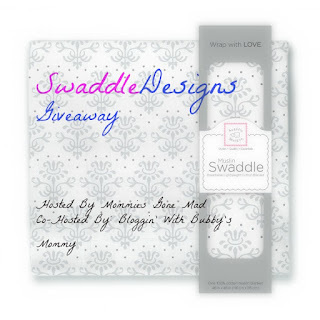 Questions about these terms and conditions should be directed to the original hosting party of this giveaway, Mommies Gone Mad.